Jarrett West's works reveal his relationship with Nature. 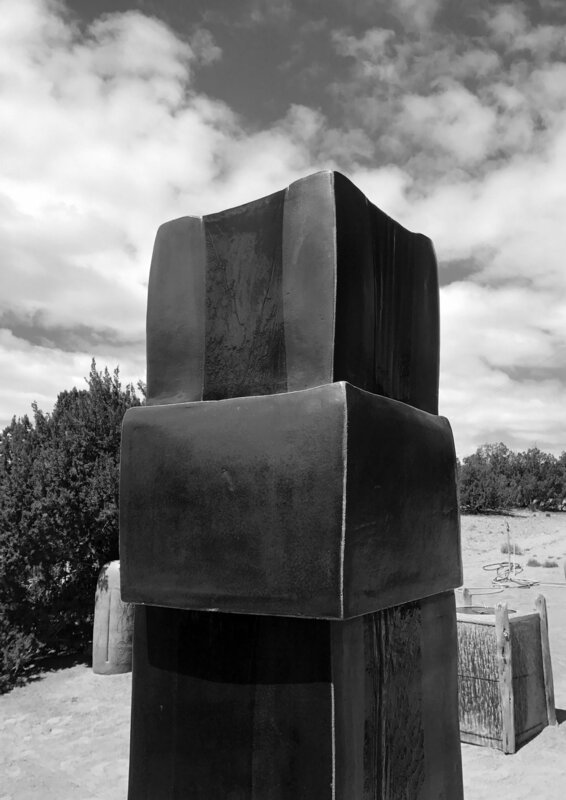 At a first encounter with Jarrett West outdoor sculptures, one is immediately drawn to the simple forms and their massive scale. His gestures are grand yet not obtuse in their presentation. These works sit beautifully against nature as if they had risen from the Northern New Mexico grasses. West’s time as a rancher, in Idaho and Wyoming, and as a builder, throughout the American West, is quite evident in his work. Jarrett knows and respects what it takes to work and play alongside nature. From the grit of the earth, to the burn of the sun - Jarrett works reveal his relationship with Nature. Jarrett has a minimalist touch that procures the audience’s attention upon first glance. It goes without saying that Jarrett has mastered his process and ability to inject his individual vision in to each piece. 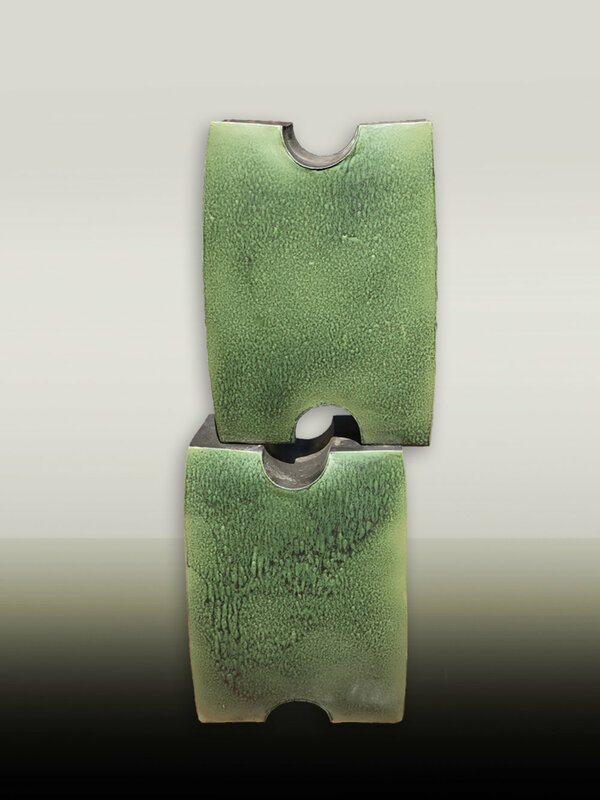 Jarrett’s palette of glazes are organic and vibrant and skin each sculpture with harmony and expression. Jarrett challenges the viewer to honor the history of ceramic creations and envision their possibilities moving in to the future. We are thrilled to be able to present these works to our collectors. Jarrett West was born in 1964 in Santa Fe, New Mexico. His childhood years were spent on a cattle ranch in Eastern Wyoming and on a farm in Teton Vally, Idaho. After developing an interest in ceramics during high school, he moved back to Santa Fe and began a series of apprenticeships with Mary Ann Gerber, Peter Dougan, and Robert Brodsky that would span a nine year period. During this period of learning and producing high-fired ceramics, he also embarked on the practice of home building. He has designed and built numerous homes and studios working in adobe, straw-bale and stone vernaculars. 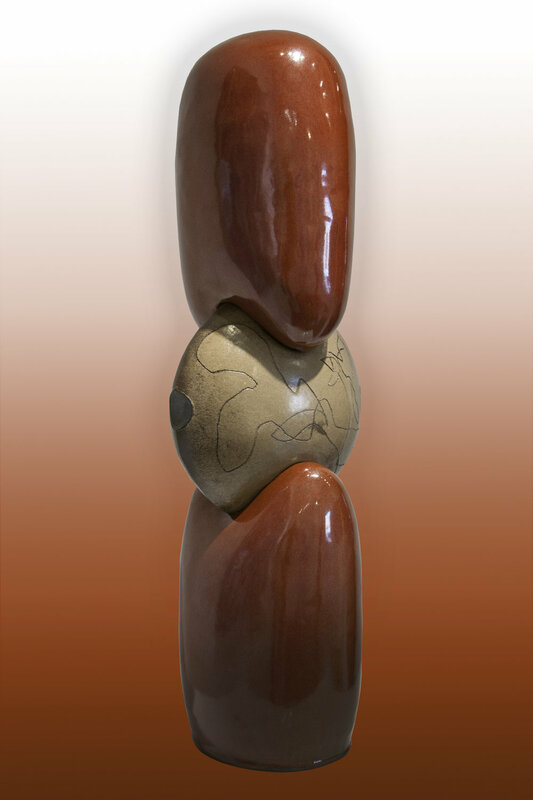 Most recently, the desire to combine the knowledge of ceramics with the practice of building structure has lead to his interest in abstract minimal sculpture with some sculptures reaching the height of ten feet. 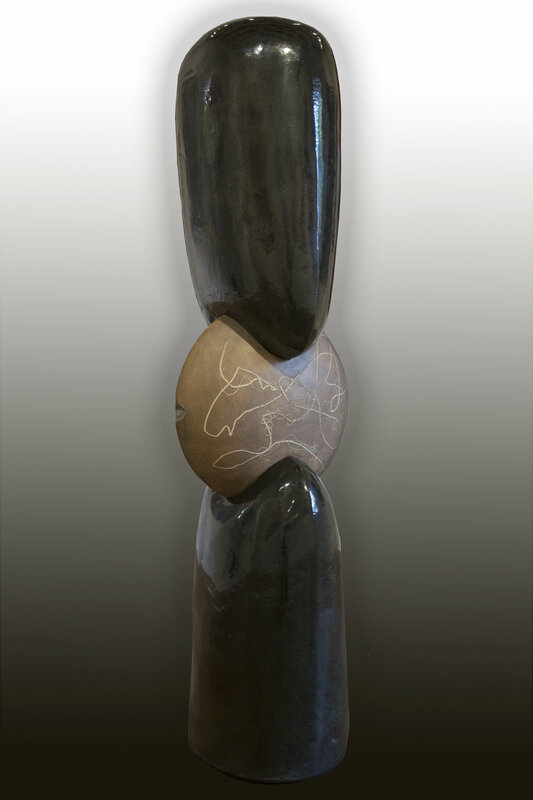 My forms are inspired by the observation and appreciation of the indigenous stone hammers found throughout the American Southwest. 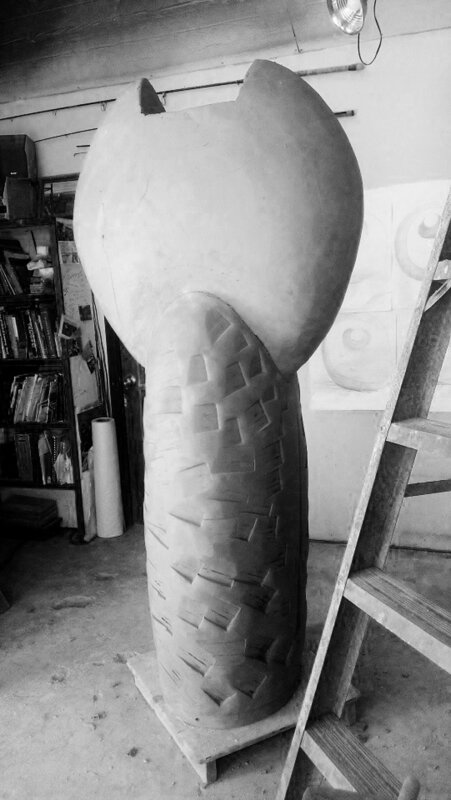 The abstract minimal high fired ceramic sculptures that I am currently producing are all constructed from a locally blended stoneware clay body. They are capable of withstanding the various requirements of exterior installations. Because of a process called quartz inversion, the sculptures will endure the effects of snow, freeze/thaw, wind, hail, rain, and extreme sunlight UV exposure. Simplicity of shape with a slight suggestion of the human touch resonate within my work. 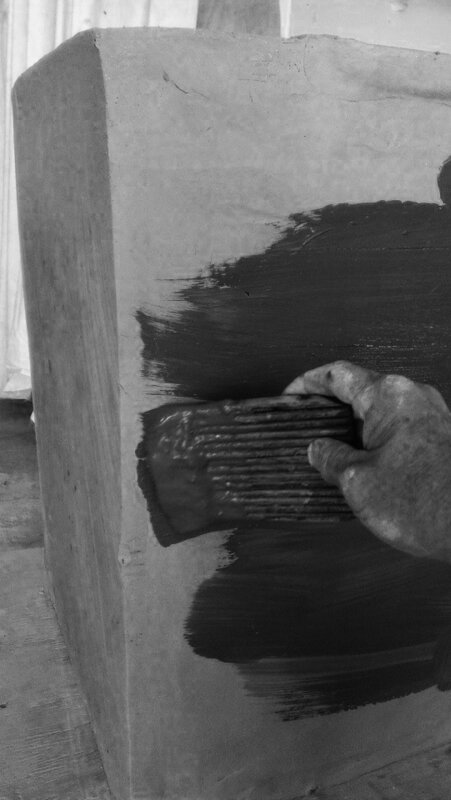 The ceramic surface is of great importance to create a sense of harmony and suggestion. 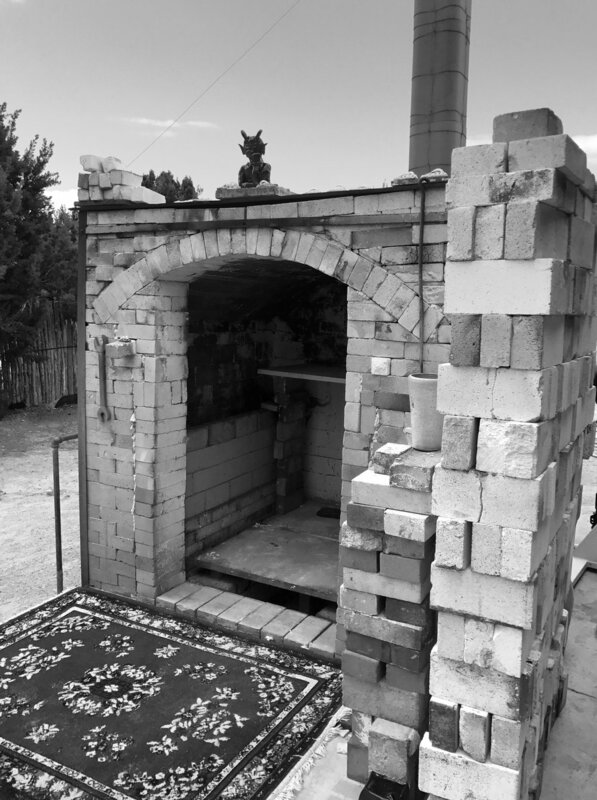 This process starts with the formulation of glazes, followed by considered application and culminating in the art and science of kiln firing.